Lacks both in-game screenshot and replay. 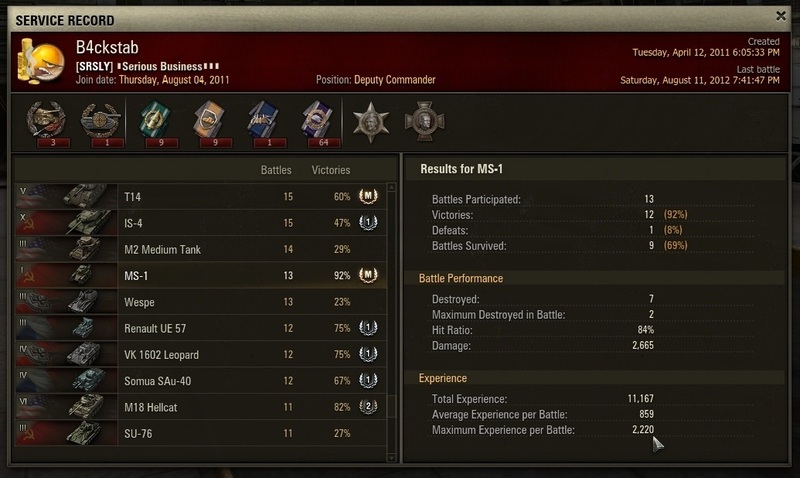 Probably gotten by platooning with squadmates in high-tier games, since getting 2200 XP with only 2 kills in a tier 1 random battle is not possible. Was accomplished during the official Tier 1 competition WG arranged sometime back. Was so long ago so i don't have replay. 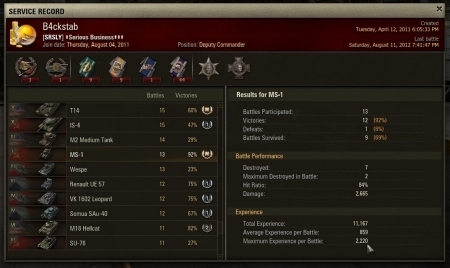 2220 came from doing 900 dmg to a Ferdinand with gold ammo in the back. "2220 came from doing 900 dmg to a Ferdinand with gold ammo in the back." <- very realistic MS-1 scenario ... I would not post this one for highscore! Its not that hard and its not even close to the real highscore, in the same competition there was atleast 3 other players with higher scores than me. Top one was over 3k but not many players post thier scores here. IMO, only random battles without gold usage should be allowed.